Born in 1920, Burrell grew up in Detroit, Michigan. In the seventh grade, he gravitated to the contrabass, practicing classical music four to eight hours a day while also honing his skills as a jazz player. He developed his abilities at Detroit’s famous Cass Tech High School and had regular jazz gigs once he turned 17. In 1941, Burrell joined the Navy. While stationed at Camp Robert Smalls outside of Chicago, where he was selected to join the first-ever all-black Navy band. Following his honorable discharge, he enrolled at Wayne State University, but was told by administrators that he would not find a job teaching music in the public schools. Burrell came to Denver and landed a job with the Denver Symphony Orchestra, making him the first person of color under contract with a major orchestra. In the meantime, he was a regular at jazz clubs in Denver’s Five Points neighborhood. When he was 40, Burrell became the first black musician to join the San Francisco Symphony—he was called the Jackie Robinson of classical music—and was one of the first black professors at the San Francisco Conservatory of Music. In 1965, Burrell returned to Denver, rejoined the Denver Symphony and played until retiring with the Colorado Symphony Orchestra in 1999. 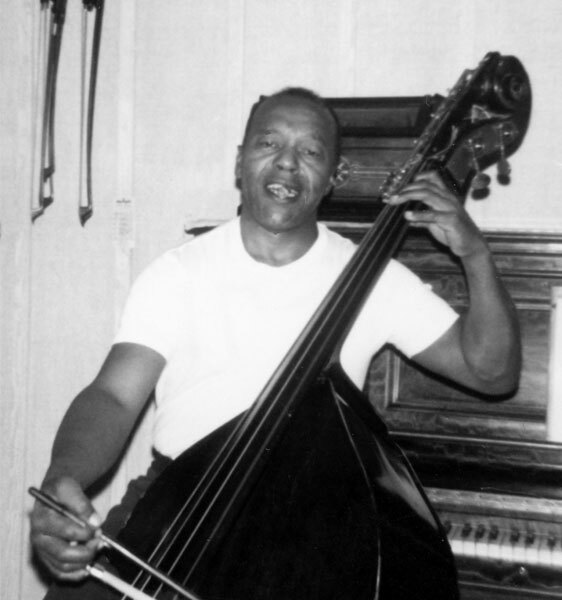 Throughout his career, Burrell was the top on-call jazz bassist in Denver, sharing the stage with Billie Holiday, Ella Fitzgerald, Erroll Garner, Lionel Hampton and many other legends. He mentored countless musicians and groomed his niece, Grammy-winning jazz vocalist Dianne Reeves. He received a Martin Luther King, Jr. humanitarian award in 2015.